Waitrose are proud of the fact that they offer top notch food, all in one place. There’s no skimping on quality when it comes to Waitrose, and once you’ve tried a Waitrose New York Cheesecake with Salted Caramel, you’ll never turn back! As much as you might love Waitrose, however, it’s not always that easy to get to one. Compared to other supermarkets, there are less around, but that doesn’t mean that you need to suffer for something less. You might be cooking for a special occasion or have forgotten something from your usual Waitrose shop. Or maybe just have a yearning for that special cheesecake. Pinga means that you will no longer have the disruption of having to go out for it – or worse, miss out altogether! Our Pinga Partners are ready and raring to pick up whatever you might need from Waitrose and can spring into action at the click of a finger. It is incredibly easy to do. Download our application, put out your request and one of our network of trusted Pinga Partners will respond straight away. Once the details are clarified, you can make payment through the app and then sit back, relax and wait for it to arrive.. There is no minimum order with Pinga. So you can order exactly what you need – no more or no less, with no extra fees or charges. Our Pinga Partners are dedicated to getting your requests and handling them with the same amount of care as you would if you had gone yourself. They are trusted, and ready and waiting for your request to come through. And it’s not just Waitrose. If you need something from another shop, all you have to do it put the request through and our Pinga Partners will pick it up. It’s so easy through Pinga and we would be delighted to have you on board with us. To help you get started today, here’s a closer look at our service and how everything works. Pinga delivers any items from Waitrose today. 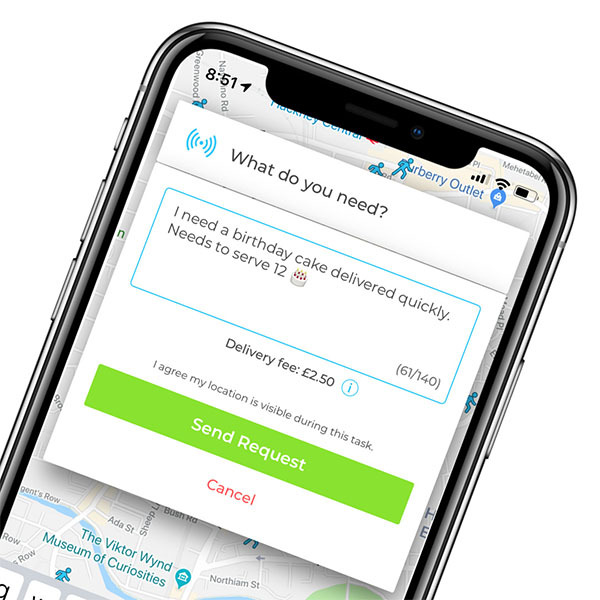 Infact our service normally delivers within an hour, so if you’re looking for same day delivers from Waitrose, send your request via the Pinga App. Describe what items you needs to be delivered from Waitrose and send your request. Pay securely within the app and receive your Waitrose items to your door!